The Bone Online presents another Pickles and Lemonade event! This amazing event will be raising proceeds for the Apple a Day program, which gifts an iPad to a pediatric cancer patient in the Tampa Bay area and help kids stay connected while fighting cancer. We have donated a few gallons of O.G’s to make sure everyone who donates gets some great pickles. Taking place this Thursday, May 12th in the Cox Media Group Parking lot from 12-6. Stop by to make a quick donation and pickup some Pickles and Lemonade, or please donate to this great cause right here. Thanks to Drew and Seth for keeping this amazing charity running. You can hear them share some of the patients stories on the Drew Garabo Live show on 102.5 the Bone from 2-6PM. 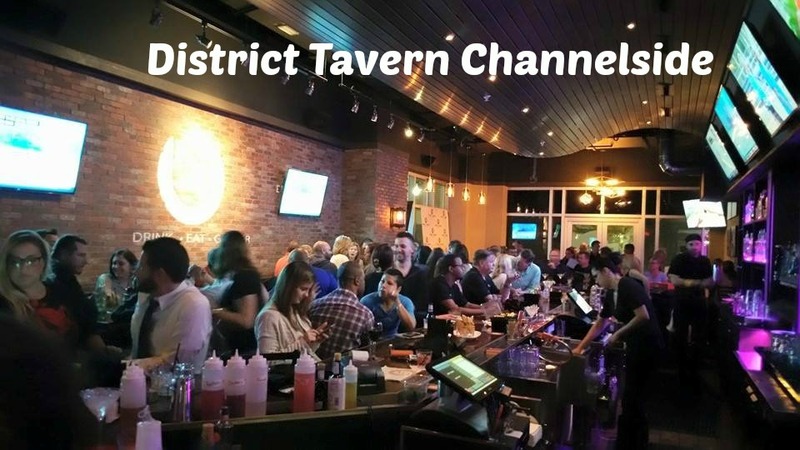 Who they are: District Tavern is the Channel District’s friendly neighborhood upscale tavern and go-to for a locally-sourced approachable menu and expansive drink list. They are featuring our pickled Cool Cauli and our Kickin’ Carrots for an amazing house chartreuse board. Come for this great snack and do not forget to try one of their other great menu items like my favorite Fried Grouper Cheeks! If you do not catch us on Saturday at Wiregrass Fresh Market, then you got to come see us on Sunday. This is an awesome event that we are able to be a part of and we want you all to come! 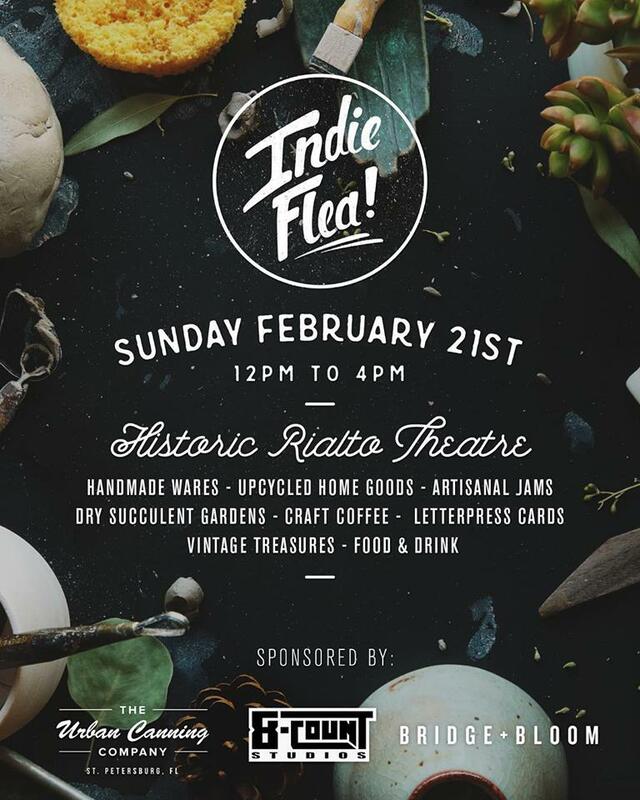 Tampa Indie Flea is in a beautiful old building downtown (Rialto Theater) and it’s next to a brewery (Hidden Springs Ale Works). There are over 70 vendors expected to be there. So grab your friends and come take a look around and grab a beer if you want! If you ever wanted to know who your Chill Dill team is, her you go. We want to thank Joe who was the amazing artist who did this spot on rendition of our team. 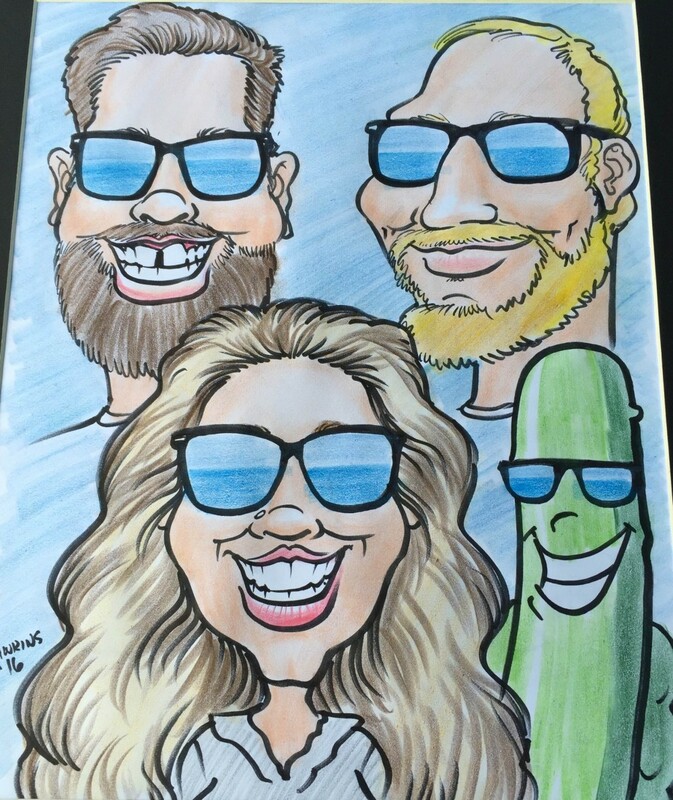 Not only did he capture what we all look like, he also included our mascot “Dean.” To read about how we all got started in this crazy pickle adventure check out our About Us page. We look forward to seeing you all in 2016. Stay posted for more exciting news in 2016 by following our every move on Facebook. 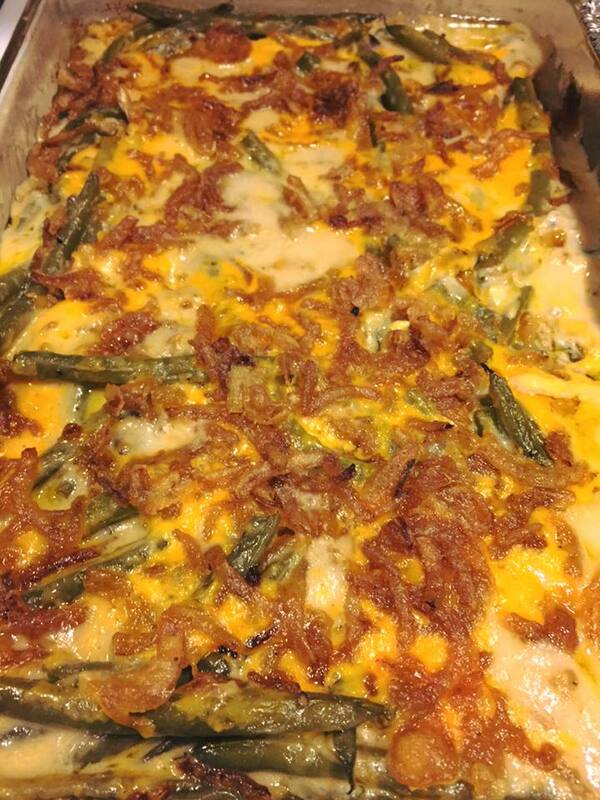 This green bean casserole takes any side dish to the next level. Preheat oven to 350 degrees. Melt the butter in a large skillet. Saute the onions in the butter. Boil beans in chicken broth for 10 minutes, then run under cold water and drain. Add the beans, mushroom soup, onion rings and salt and pepper. Stir well. Pour onto greased 1 ½ quart baking dish. 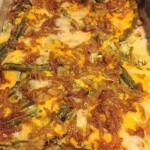 Bake for 20 minutes, then top the casserole with the Cheddar cheese and bake for 10 minutes, or until cheese is melted. Are you ready to try our newest and greatest flavor? 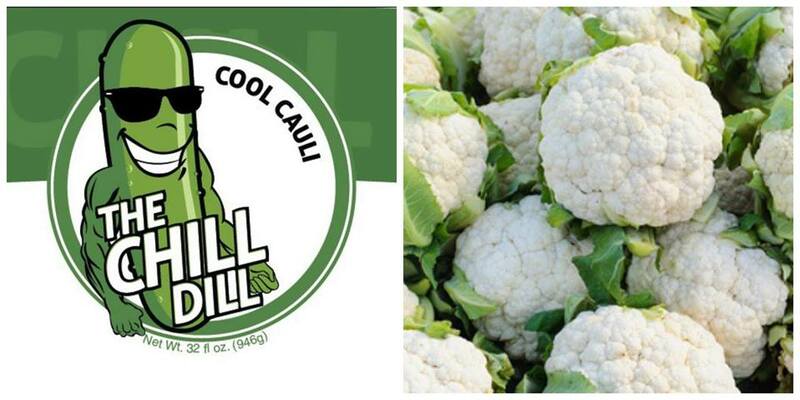 Cool Cauli! These little florets of white crunchy goodness have all of the healthy properties of cauliflower with a garlicky, vinegary, and savory flavor punch. These little pieces of white gold will only be sold online and at the local farmers markets, so come on out and get you hands and mouth on them! I am happy to share with all of you the news that the Awesome Asparagus are back! If you have not tried these amazing little guys, then you are missing out on life. These asparagus are packed with a healthy dose of fresh minced garlic and just a touch of jalapeno giving it a mild peppery hint. The spice is only there as a hint and not too spicy at all. You can try these in any cooking dish, put them on a salad, add them to a darn good Bloody Mary, or eat them straight out of the jar. Any way you slice it, I highly recommend you try this product out! Have a Recipe? Tag Us! We are always encouraging our customers to let us in on their creativity in the kitchen with our products! If you create something cool with any of our products, just use the hashtag #cookingwiththechilldill. We love seeing these recipes! We wanted to bring you a hat that you would love to wear. That is what we have done. These grey Flex Fit hats come in either S/M or L/XL. 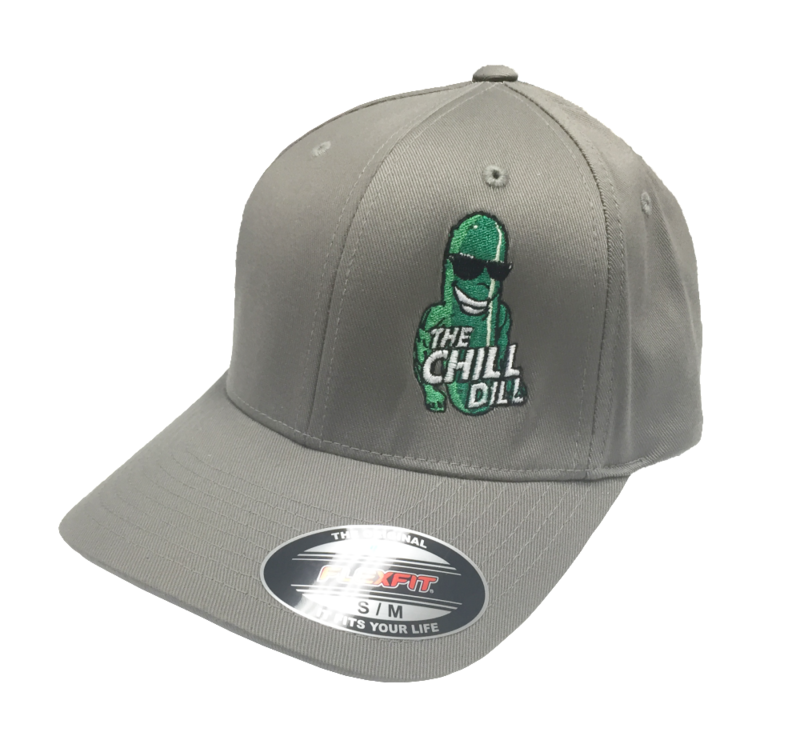 They have Dean on the front with The Chill Dill written out across the back. These hats are limited right now to Markets only. We will debut them this Sunday at the Seminole Heights Market. Come out and see us. Yes, we now offer shipping! 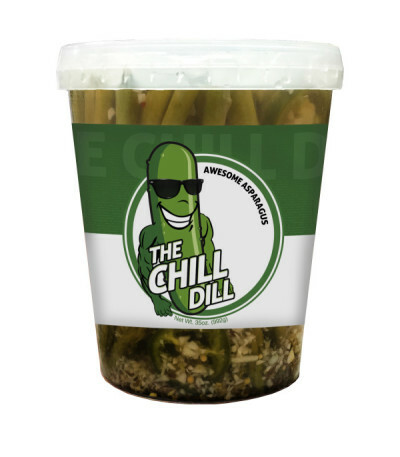 Ever wanted Chill Dills delivered straight to your door? We have teamed up with Fedex to be able to deliver your ice cold Chill Dills right to your doorstep. Simply select the products you would like and add them to your cart and checkout. For the best value on shipping, try and order 5 jars at once. 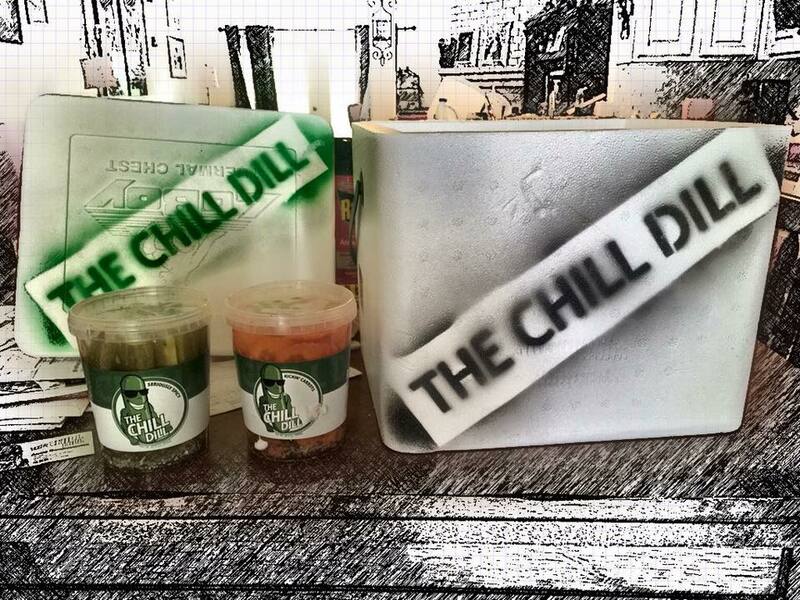 All jars come in your very own custom box as well as a custom Chill Dill cooler. We are fully stocked with everything except for our Ghost Pepper Garlic and can ship out starting Monday. © 2019 The Chill Dill.